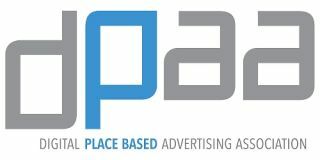 The Digital Place Based Advertising Association announced that it has released programmatic standards for the digital out-of-home industry, as part of an ongoing process to facilitate DOOH transactions. The standards will benefit all stakeholders - buyers, sellers, brands and the ad-tech community - by expanding opportunities for buyers to target audiences and purchase DOOH media programmatically. They have been produced in coordination with DPAA companies, with leadership provided by Prohaska Consulting and published on the DPAA's website. The standards have been reviewed by Demand-Side Platforms and media owners. "In recent years, our annual survey of media planners consistently has shown that programmatic availability will lead to higher levels of spending on DOOH media, which is not surprising since programmatic boosts targeting ability, efficiency, speed of transaction and ROI," said Barry Frey, DPAA president & CEO. "These standards put DOOH in a leading position for programmatic adoption, providing exciting opportunities and enabling broad-based compliance that even television and radio have not yet achieved." Frey said that many of DPAA's members already comply with the standards. This positions DSPs well to put this new functionality to work for their clients and their increasing DOOH budgets. Prohaska Consulting was tasked by the DPAA due to the firm's understanding of the programmatic marketplace, sensitivity to the complexity of DOOH media and ability to coordinate with existing Open RTB standards. Prohaska Consulting facilitated communications among DPAA members and other constituencies, developed the standards, obtained and incorporated feedback, and encouraged consistency across the ecosystem. In addition to DSPs, the Outdoor Advertising Association of America and Interactive Advertising Bureau have also reviewed and weighed in on the standards. "I would like to commend Prohaska Consulting for their outstanding work on this project," said Frey. They did a sensational job of bringing all parties to the table and helping us arrive at standards that address everyone's needs and concerns." Boaz Ram, Group Manager, Product Management for Adobe's TubeMogul, was among the DSP executives who reviewed the standards. Other DSPs that reviewed the specs included AppNexus, DoubleClick Bid Manager, MediaMath, theTradeDesk, Turn and Videology. An agency perspective was provided by Steven Kaufman, Managing Director, Programmatic for OMD USA. "From an agency standpoint, there is no question that uniform programmatic standards for digital-out-of-home media will help level the playing field from a planning perspective," said Kaufman. "We look forward to seeing the standards become widely adopted and having the DOOH sector brought into the programmatic mainstream." The process to develop programmatic standards began in March 2016 when the DPAA organized three committees-- tech specs, creative specs and measurement. The tech specs committee developed a set of DOOH-specific standards that will facilitate how programmatic buys are conducted. The creative specs committee produced the first version of the creative standards that allow advertisers to run across most DOOH networks with one set of creative assets as opposed to having to develop multiple units. The creative specs encompass the requirements for both still and video assets.